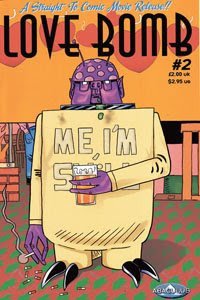 I came across this review of Love Bomb 2 at Comics Village while surfing the internet today. It's interesting to encounter a new review of work I did so long ago. Unfortunately, I have absolutely no copies left of it for sale, However, Swill the Alien, who made his first appearance in it, has his own one off comic still available for purchase from The Shop if you're interested.